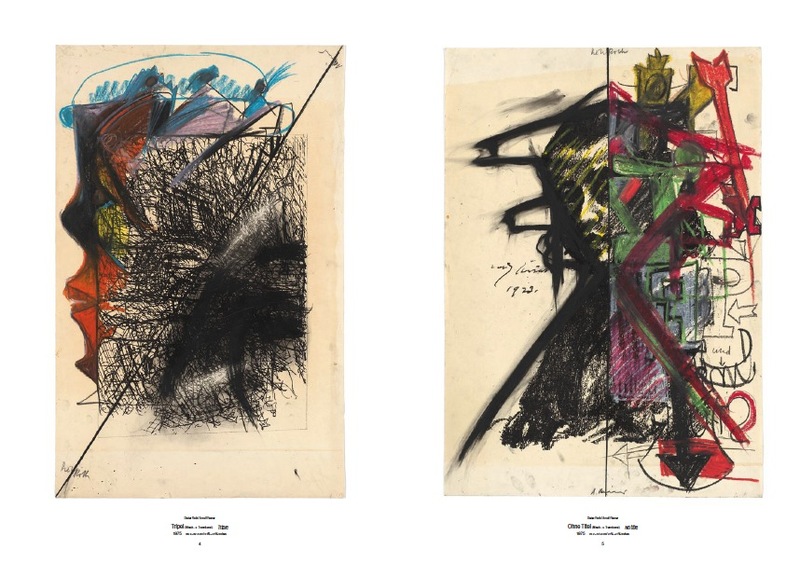 The collaboration on almost 500 works by these two exceptional artists started in 1974 and is shrouded in wild anecdotes. 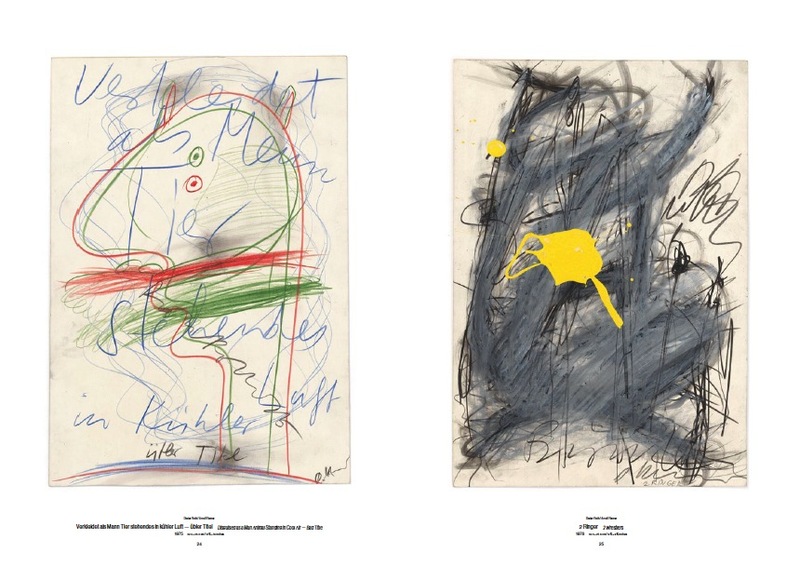 For the most part, they are not directly connected to individual works by Dieter Roth or Arnulf Rainer. 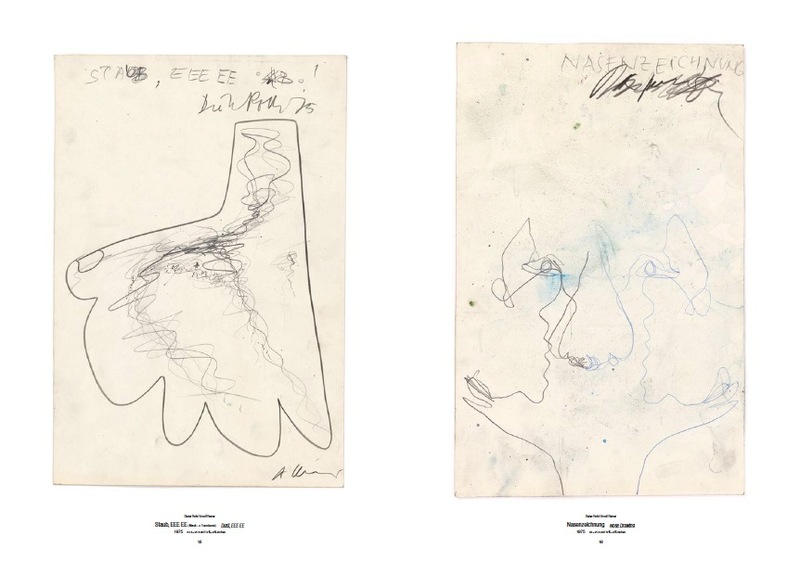 Rather, both artists were keen to let their individual ideas collide freely, in order to create works of comedic performativity as well as humorous pictorial wit. 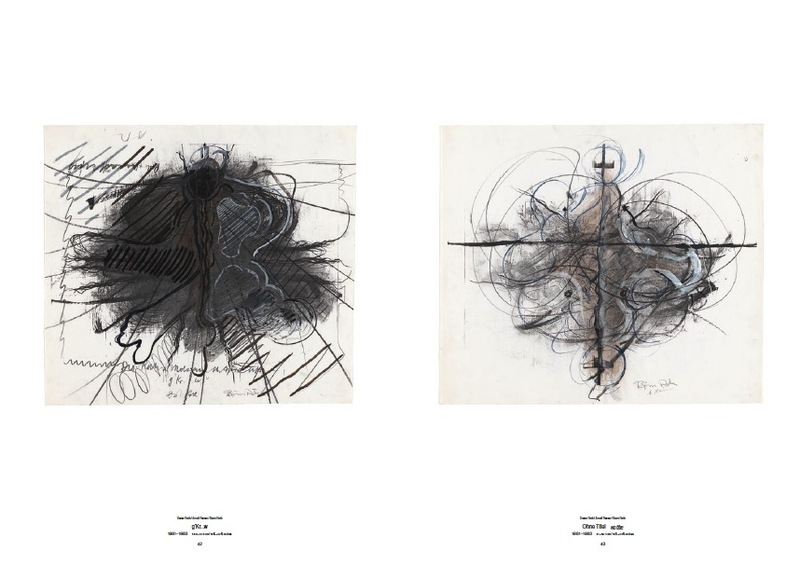 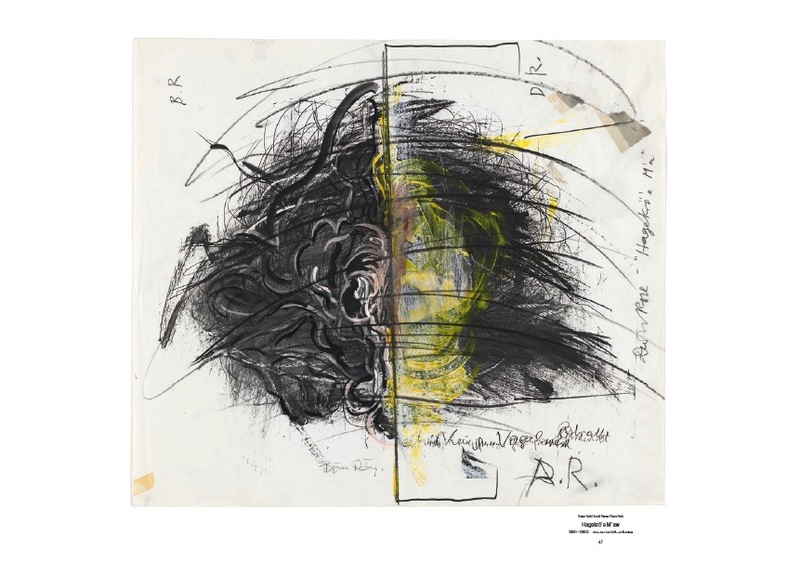 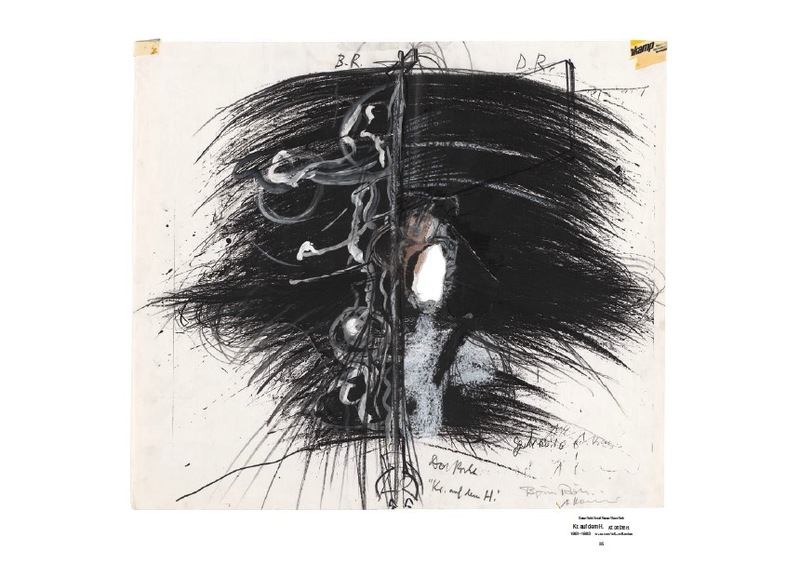 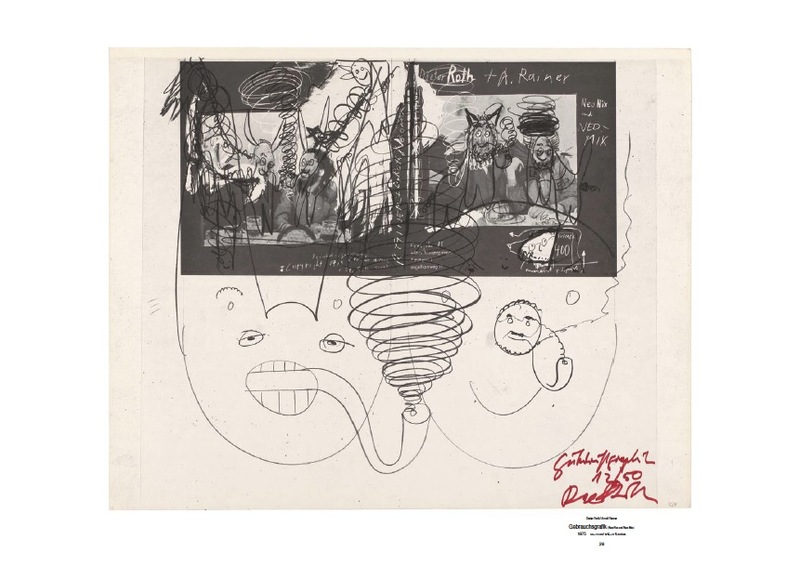 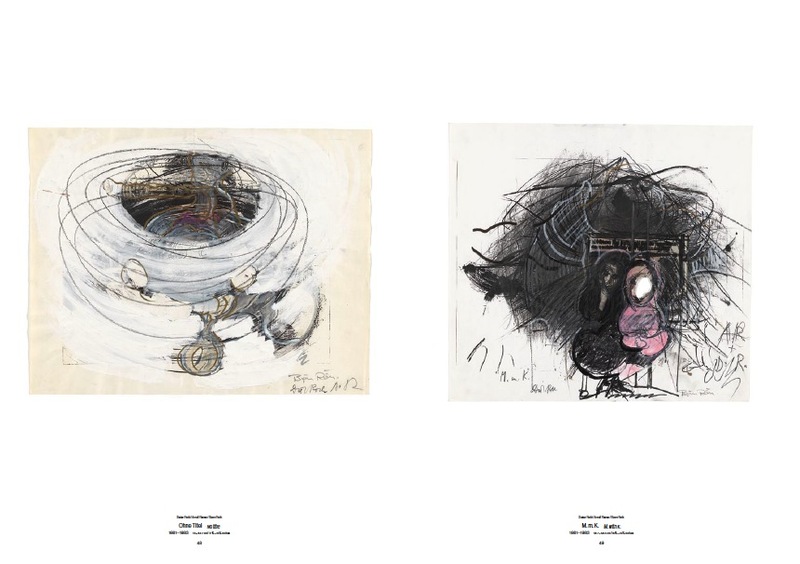 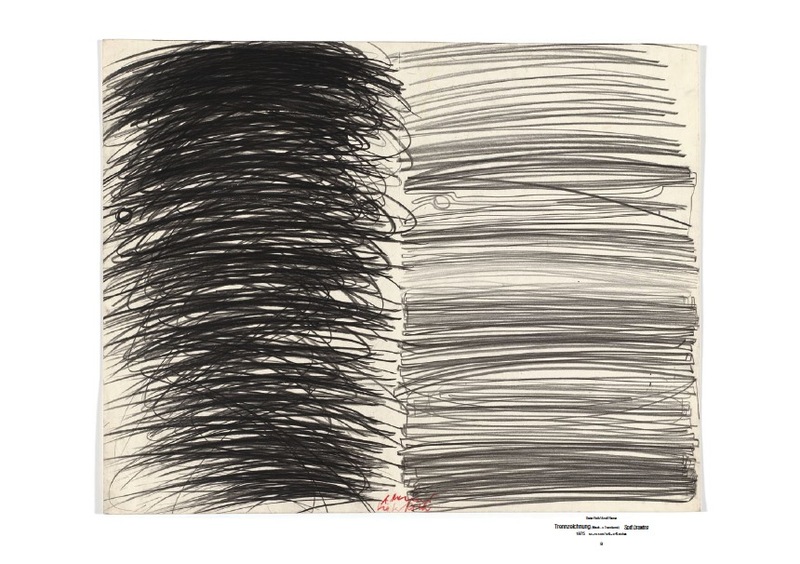 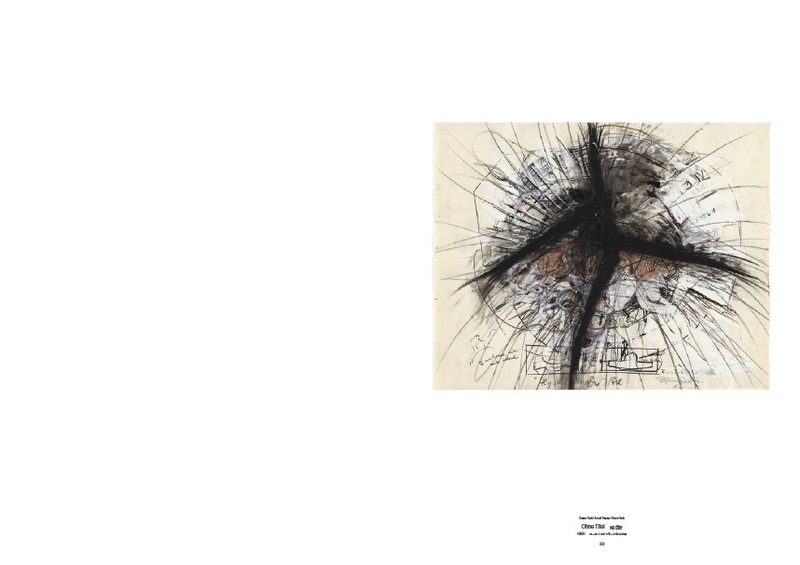 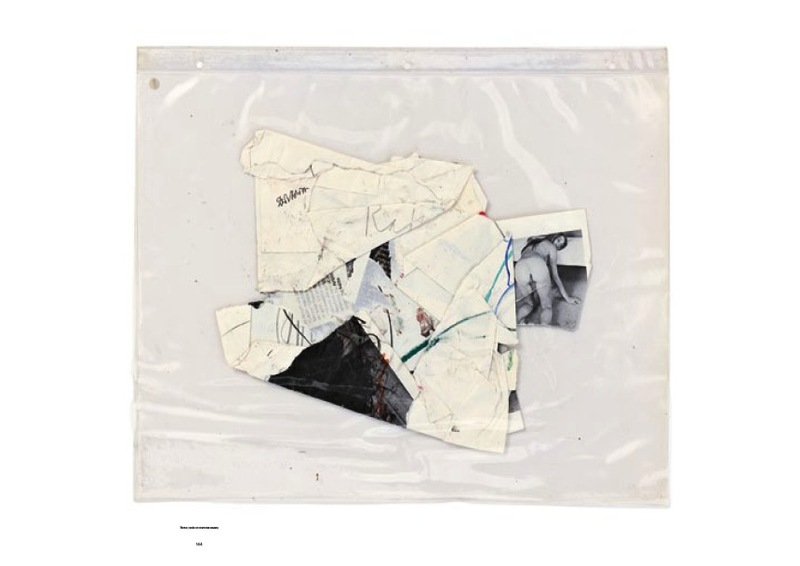 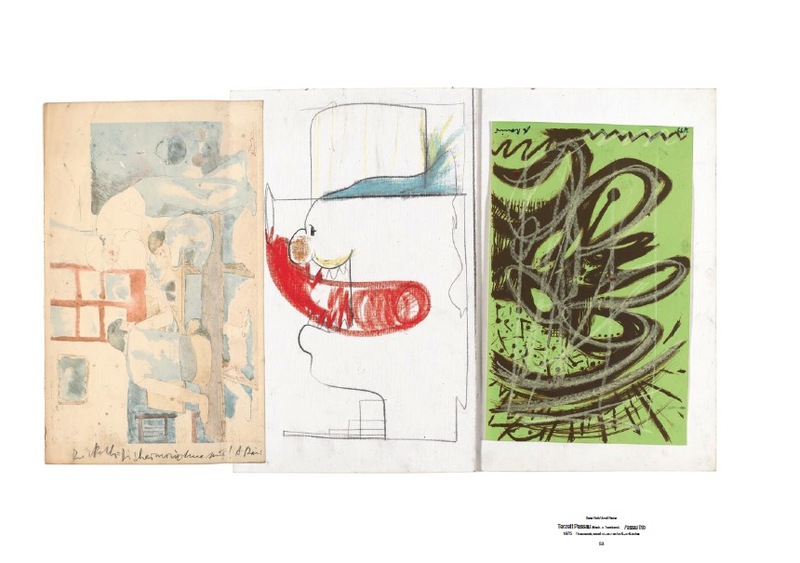 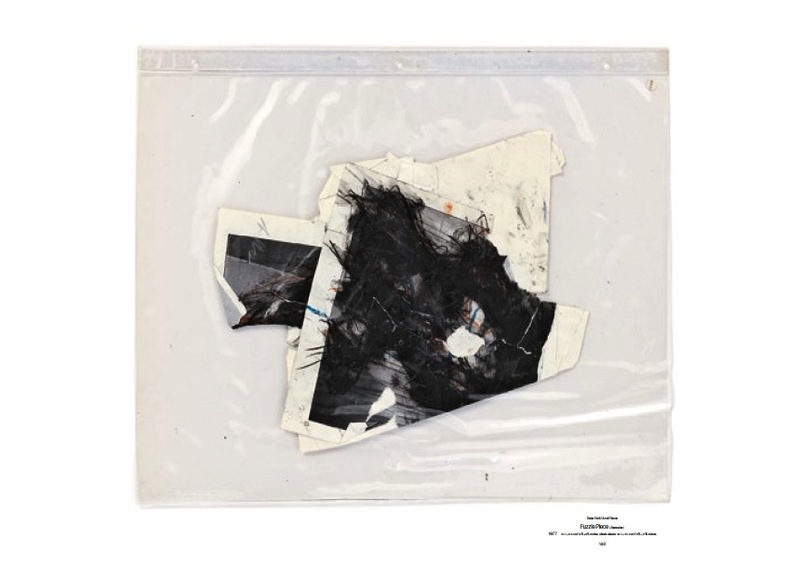 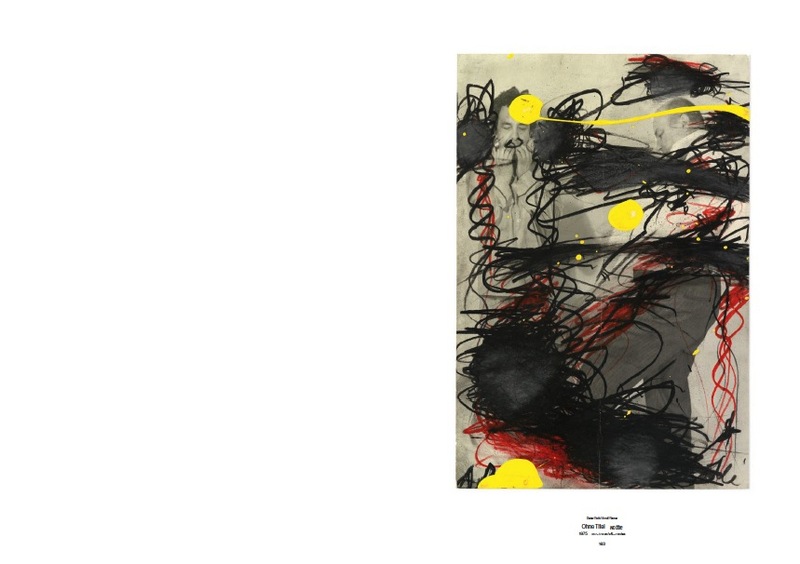 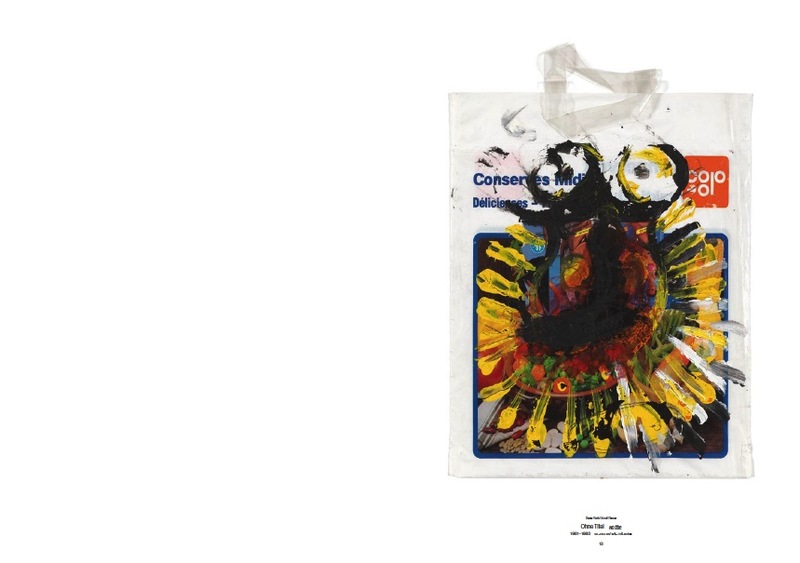 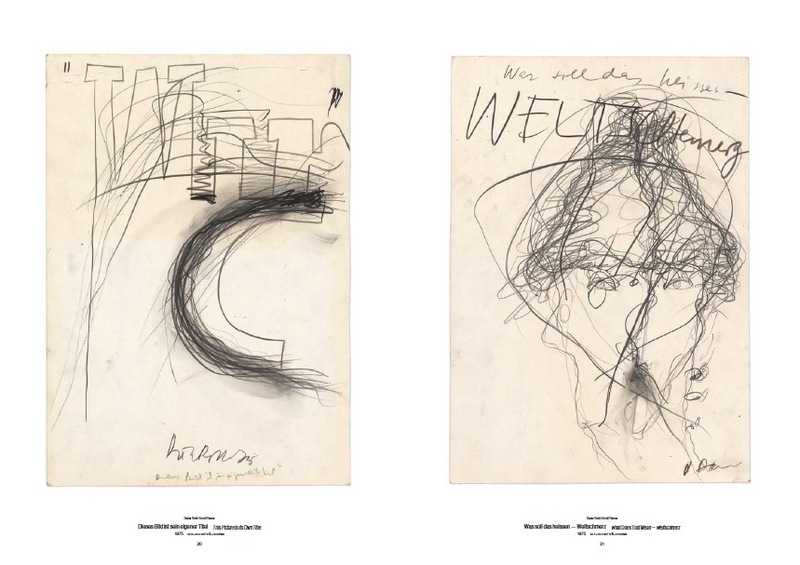 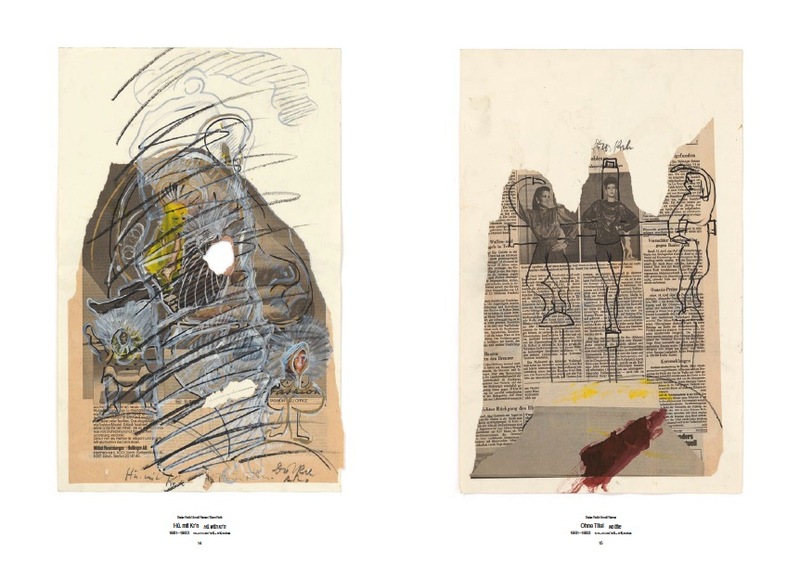 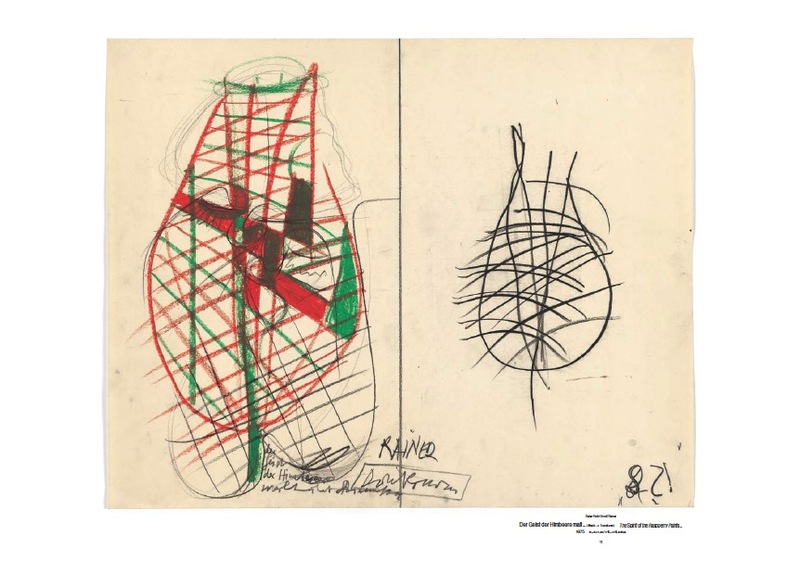 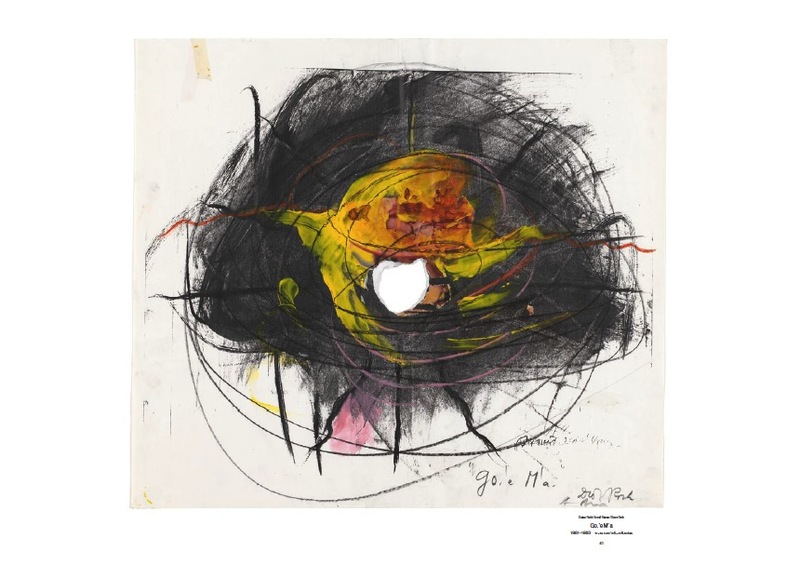 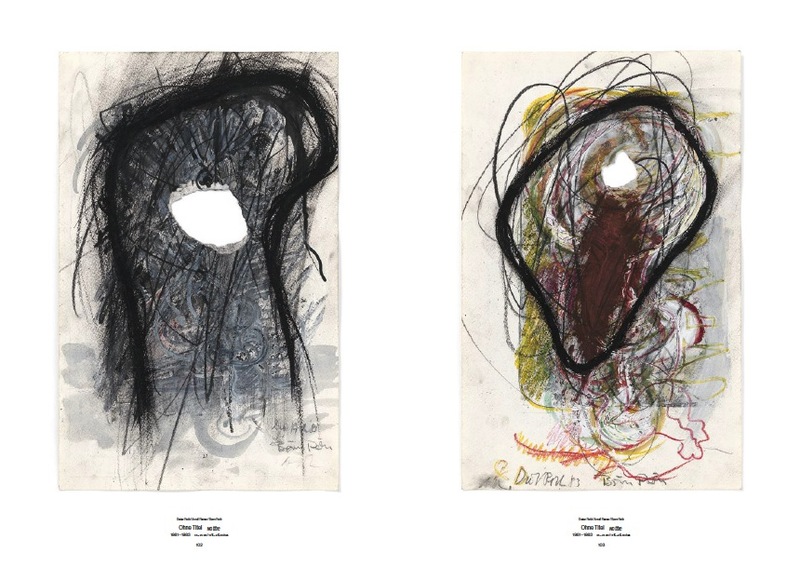 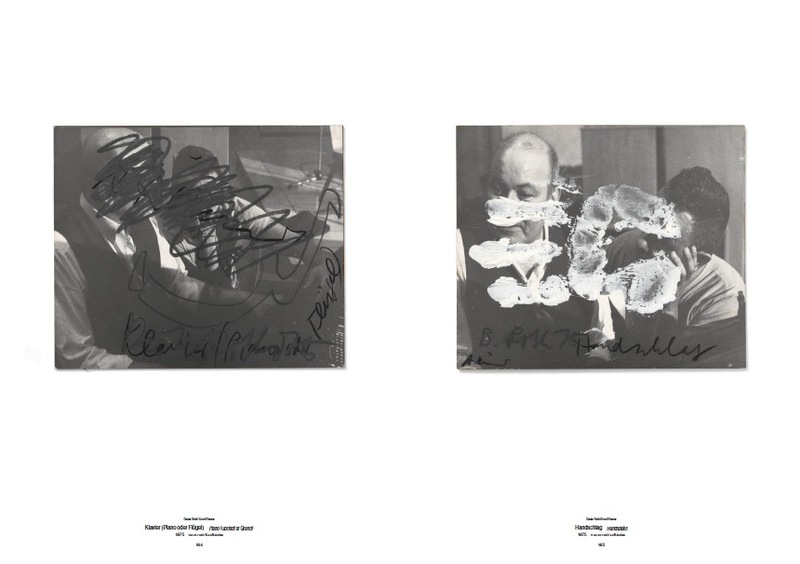 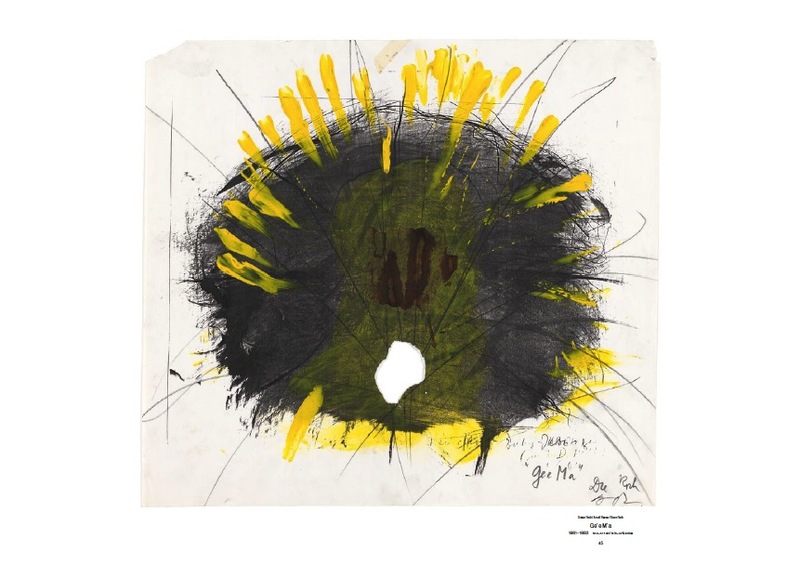 Often, the smaller and more slender Arnulf Rainer approached the larger and more corpulent Dieter Roth as a provocative whisperer, prompting Roth to occasionally react with deliberate aggression toward Rainer’s ideas and inspirations. 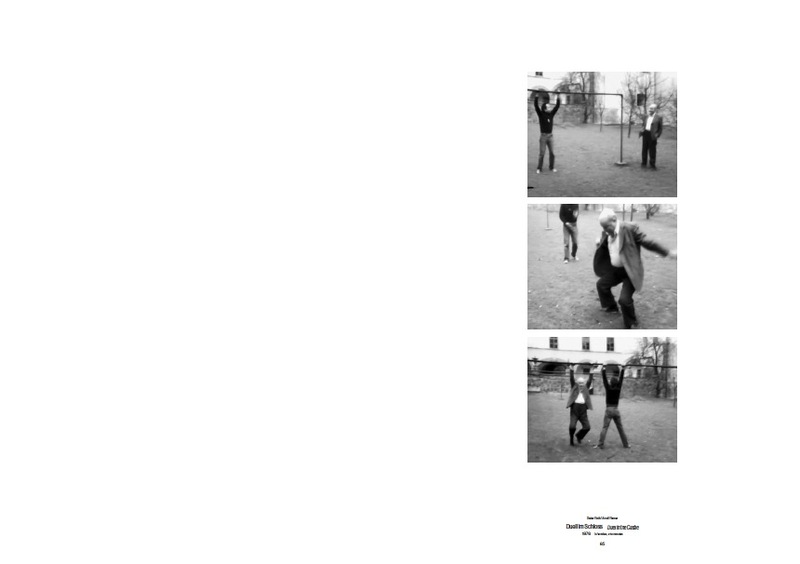 These occasions are photographically documented. 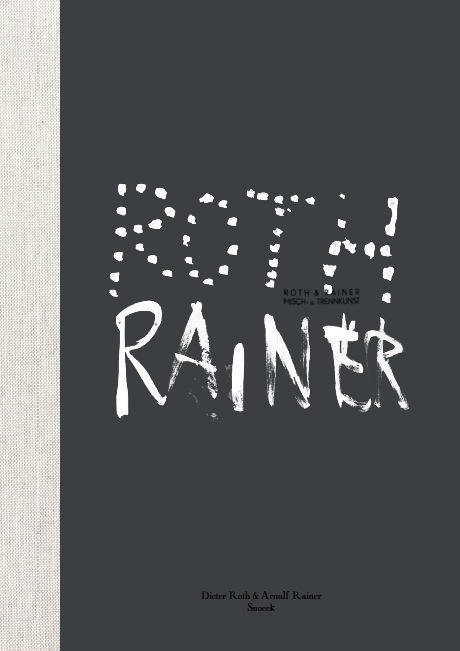 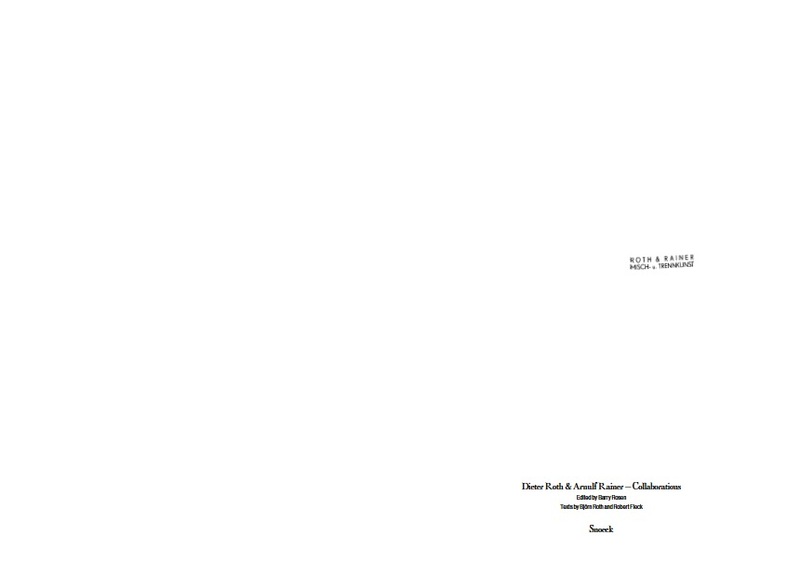 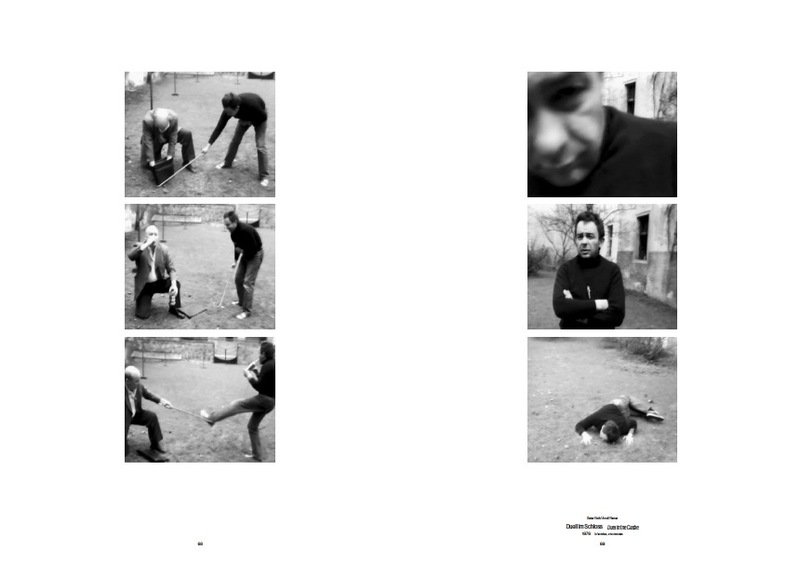 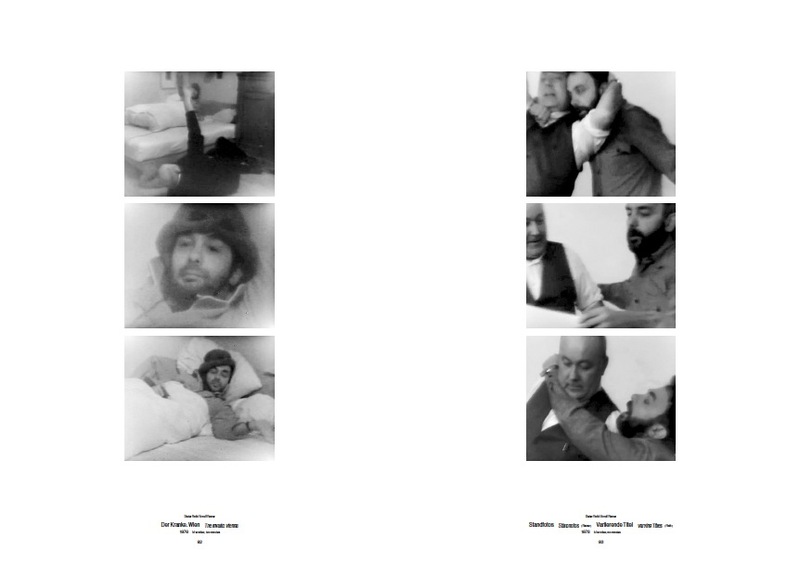 Rainer then edited these photos and passed them on to Roth who subsequently finished the work. 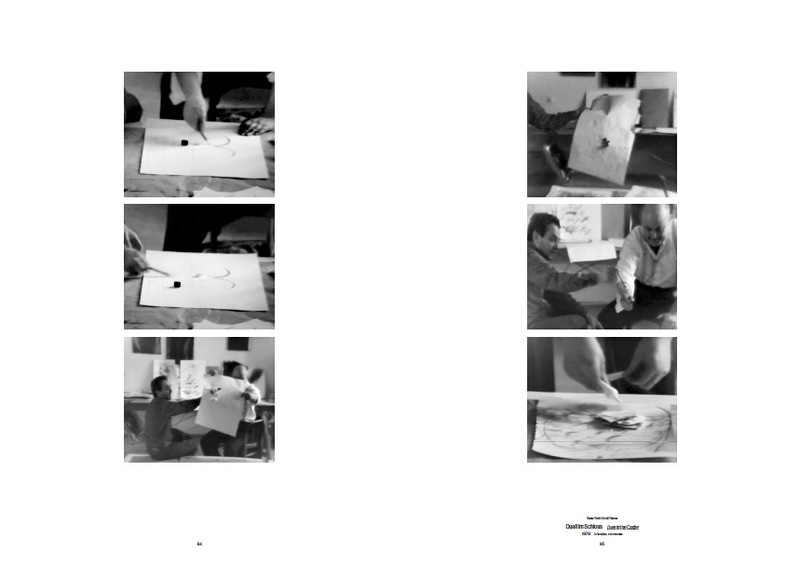 Besides several »Fuzzle Pieces«, this volume also presents mainly large-format drawings and the most beautiful examples of their collaborative graphic works labeled »Misch- u. Trennkunst« (a German pun on the balancing or specific combining of food), which from the 1980s, included Björn Roth in the collaboration.